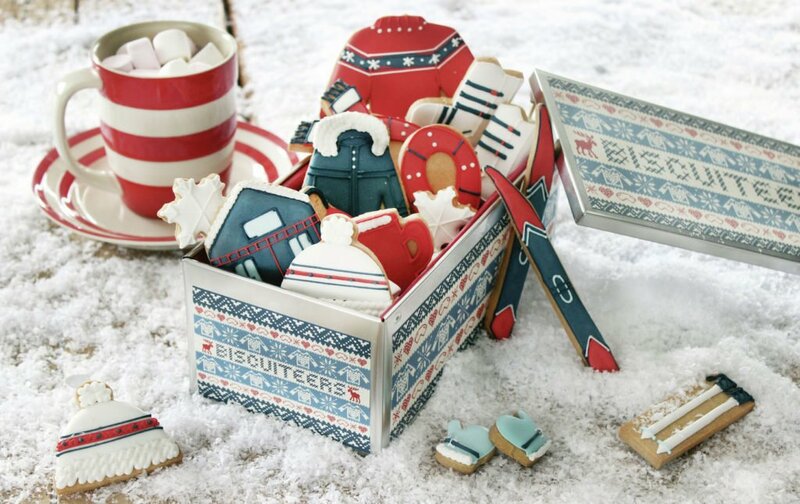 Christmas biscuits aren’t to be skipped. Brandy-soaked fruitcake lit on fire and sweet dates wrapped in smoky bacon may sound unusual, but for Britons, that?s just the taste of Christmas. From the savory to the sweet, we?re rounding up all of the amazing things to eat during the holiday season in London. Bring your holiday spirit and your appetite! Though they may not sound Christmasy, devils on horseback (bacon-wrapped prunes) are a quintessential British holiday appetizer. Though the name is more befitting of Halloween than Christmas, devils on horseback, or bacon-wrapped dates, are a typical holiday appetizer. This festive canapé is usually served hot and speared on toothpicks. Variations include swapping the dates out for any number of dried fruits like prunes or apricots. There?s also a variation called angles on horseback, which swaps the dates out for oysters. Unlike the American version, in the UK, pigs in blankets come wrapped in bacon?not pastry. Pigs in blankets are another classic Christmas hors d’oeuvre. But in the United Kingdom, instead of getting mini hot dogs wrapped in pastry, pigs in blankets are mini sausages wrapped in bacon. This meat-on-meat version is typically served as an appetizer or as an accompaniment to the standard roasted turkey or goose Christmas dinner. Mince pies are one of the most traditional British Christmas desserts.